In the words of my favourite songsmith, ‘you say I aint worth a dollar, but I feel like a millionaire’. That has nothing to do with the November internationals but if there is any chance of getting a Queens of the Stone Age reference into a blog, I will take it. This is my favourite time of the year. November internationals are when there is slightly less pressure on coaches and we see what the plan might be for the following 6 nations campaign. King Joe has selected a nearly full strength squad, a few injuries and fitness concerns aside. And there is the small topic of a certain Bundee Aki making his debut in the big jersey this weekend. More on that below. 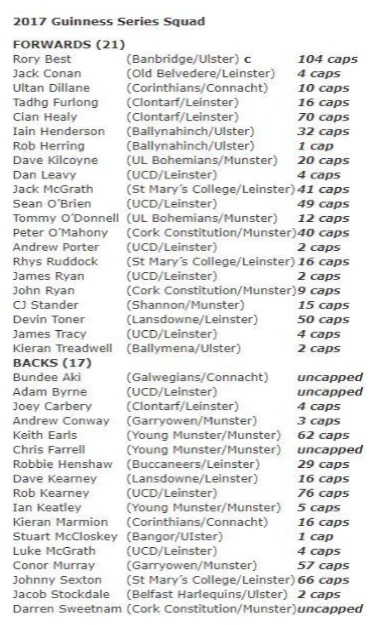 As you can see (if I have copied and pasted it correctly) there are 4 uncapped players along with 15 players with 10 or less caps. The rest of the squad are experienced campaigners. Joe is also bringing in some fringe players (Porter from Leinster looking to be the diamond there) to experience a Carton house session. 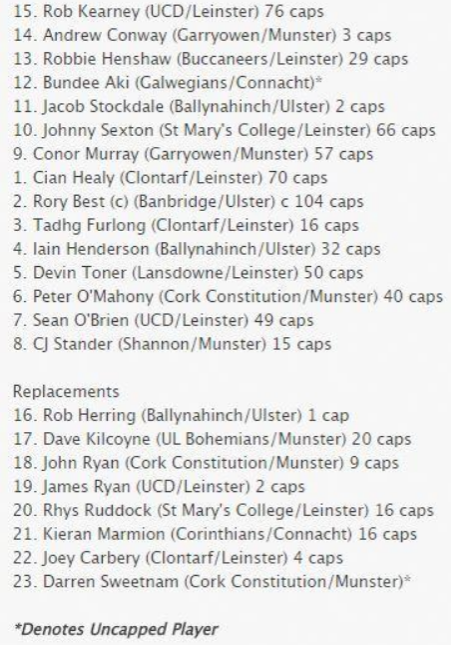 All massively positive, these inexperienced players / low capped players will be ‘making money’ here for Ireland. When called upon they will know calls, players and most importantly expectations. Aside from Sean Cronin, who is coming back to fitness and any injuries, it looks to be the best squad that could be picked given current form and availability. So now we come to the opening match against a South African team that are hot and cold like my shower when I don’t pay the gas bill. Massive monster men that can bulldoze through anything, some quickness that is frightening and a skill level that may be their only weak point. Not saying they don’t have any skill, it is just their other attributes outweigh it at the moment. The Irish team to play was announced on Thursday. We will get to the elephant in the room in a second, but looking at the team it looks balanced and picked on form. Cian Healy has come back into form so far this season and looks to be near his sharpest, that and along with a knock to McGrath opens the door for him to start his 4th game in a row for Ireland. 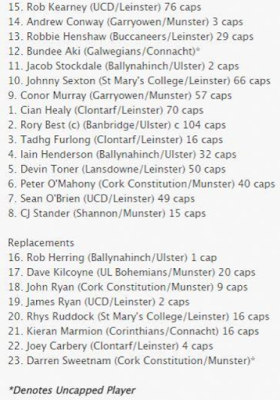 Rory Best is only a couple of games back so this will be a big test for him. Never lacking in heart, we need the darts to be on point against a cheeky Springbok second row. Henderson and Toner will need to lay a marker down early, Etzbeth and De Jager will be looking to upset the set piece at all times, it would be huge for SA if they could steal an early lineout so it is up to our second row to lay down a marker, both lads will do just that. Our backs have another question. In at 15 is ‘Air Kearnashian’ Rob Kearney. An absolute giant under the high ball and with a left foot that Ronaldo would kill for. Recently back from injury and showing good form for Leinster. People thought that Carberry may get a shot, but it shows the worry Joe has that the ‘Boks will be firing high balls in all day. Kearney might be the more physical player which is why he got the nod. Carberry may be getting on if the Irish talisman J10 receives too much off the ball attention from South Africa, so he may be needed at 10 before 15. Our midfield of The Hensh and Bundee Aki has 99% of Irish supporters salivating. We saw what these 2 could do together in Connacht and the thought of them working together again in the big jersey is a massive part of Saturday. We may as well deal with this now. 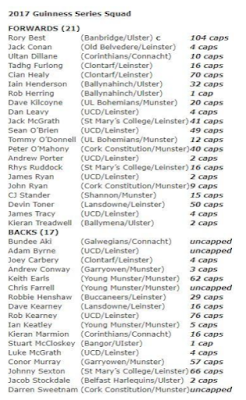 If you have an issue with Aki playing for Ireland then you need to look at our player playing for Italy, you need to look at Payne and Stander. None of those players got the kind of abuse on social media that Aki has gotten. I don’t care what he has said in the past, I want him to leave it all on the pitch for that jersey. He knows what it means and he will perform. I look forward to Neil Francis et al shutting up on Sunday morning while giving excuses for naming Aki man of the match. Bundee Aki (because you know he reads these) you are welcome into the jersey! We all look forward to seeing you do your thing. For me, we have the advantage around the field. It is about being comfortable as favourites and having the confidence to execute the plan. If Ireland do this then it should be at least a score difference in the teams. The set piece needs to function and the passes need to stick early. The South African supporters are always great craic to be around and I expect them to be in full voice, so the Irish in the stands need to do their bit too. My prediction is Ireland by 7 points, Aki man of the match. As usual, @nkeegan to discuss.